Anti-money laundering is an important issue for governments and banks alike. 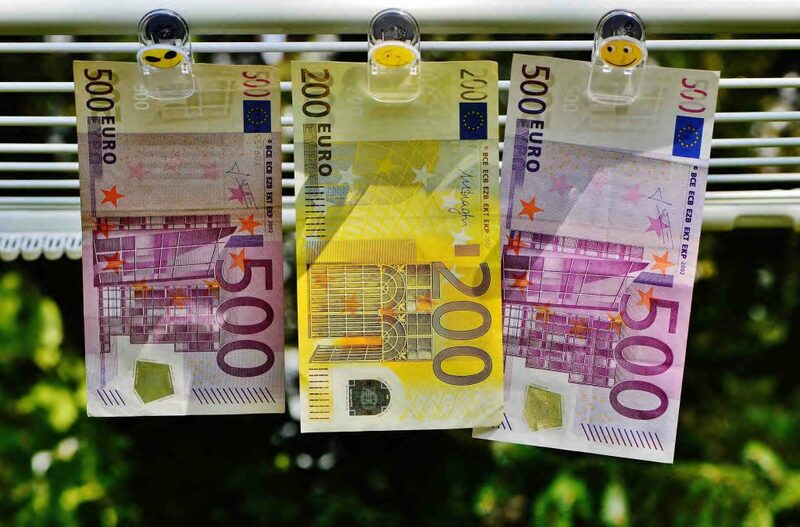 The fight to prevent terrorist financing and profiting from crime means that banks and other financial institutions are increasingly required by regulations to put anti-money laundering systems in place. Many are turning to analytics in the process, and particularly to advanced analytics involving machine learning and artificial intelligence (AI). These self-learning systems have the potential to stay one step ahead of fraudsters and criminals because they learn from experience. There are a number of ways in which AI and machine learning can help to improve the anti-money laundering process. When the detection system misses money laundering cases, it can result in potential regulatory fines and reputational damage. Increased accuracy is vital to ensure proper targeting and identification of true positives and a minimum possible number of false positives. AI and machine learning can be particularly helpful in reducing false positives and increasing true positives in the alert process. One of the biggest issues in dealing with fraud and other financial crimes is to focus investigation in the right place. Any kind of detection system can only hope to identify potential problems and show where further investigation may be worthwhile. However, if the alert system generates too many false alerts, then investigating "nonproblems" wastes time, energy and operational costs. This is important because of the rapidly increasing numbers of alerts, customers and transactions. Equally, banks and financial institutions cannot afford to have too many "misses." When the detection system misses money laundering cases, it can result in potential regulatory fines and reputational damage. Increased accuracy is vital to ensure proper targeting and identification of true positives and a minimum possible number of false positives. Banks can apply advanced analytics to data from the alert generation process enriched with other internal and external data to identify anomalies and new risk areas. They can also use analytics to continuously adjust and tune existing rules and scenarios for transaction monitoring to make them more precise. An important facet of financial regulations is that it is essential that banks and financial institutions are able to explain their decisions adequately. Machine learning models are often highly accurate but are by definition complex when it comes to explaining inner workings. There are tools available today to interpret black box models. But if suitable, i.e., if accurate enough, a more easily interpreted model type (e.g., a decision tree) could be a good choice. For a next step, though, it is advantageous to use more precise and advanced machine learning models to prioritize among the alerts and ensure that the most suspicious ones are examined first. A further benefit of advanced analytics is that it can use both structured and unstructured data. Natural language processing and text analytics can transform unstructured textual data into new structured variables that can greatly enhance the models. Useful unstructured data sources include SWIFT messages, emails, call centre notes, social media and case comments. This data improves the accuracy of the models because more data leads to more insight. It also leads to more defined and precise scenarios and rules, and therefore better predictions. Banks have successfully applied text analytics in a number of fraud and financial crime applications. It can be used for negative news, and particularly in name-matching and theme detection against negative news sources. Network analytics using text analytics has been helpful in uncovering hidden relationships from unstructured data, such as social media posts and emails. In attributing suspicious activity reports, text analytics can also help to classify findings to particular risk behavior. AI has the potential to greatly improve anti-money laundering efficiency. It can reduce time and effort spent on alert investigation and will likely automate many parts of this process in the near future. By letting AI take care of the straightforward, routine tasks, humans can focus on the more complex ones. AI can be taught to enrich alerts with information from multiple sources, score alerts and automatically close an alert, or forward if needed to a human investigator. As always, the teamwork between human and machine is the key ingredient for efficiency.